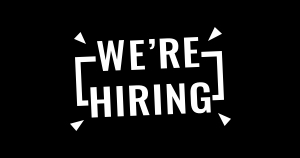 For the past few months, we have been busy contributing to the next major release of the big data open source software we love: Apache Spark 2.0. Since Spark 1.0 came out two years ago, we have heard praises and complaints. 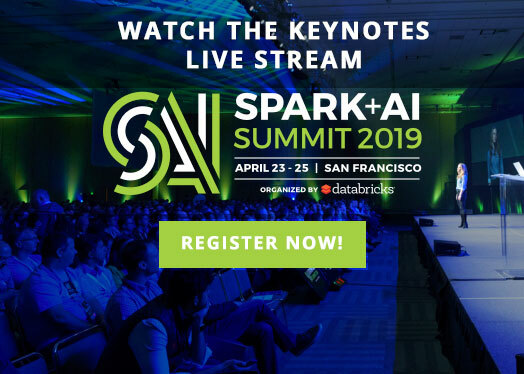 Spark 2.0 builds on what the community has learned in the past two years, doubling down on what users love and improving on what users lament. 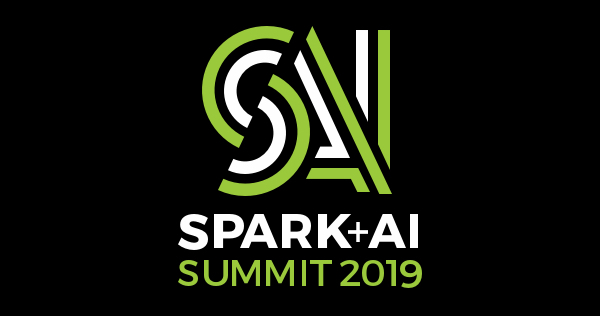 While this blog summarizes the three major thrusts and themes—easier, faster, and smarter—that comprise Spark 2.0, the themes highlighted here deserve deep-dive discussions that we will follow up with in-depth blogs in the next few weeks. According to our 2015 Spark Survey, 91% of users consider performance as the most important aspect of Spark. 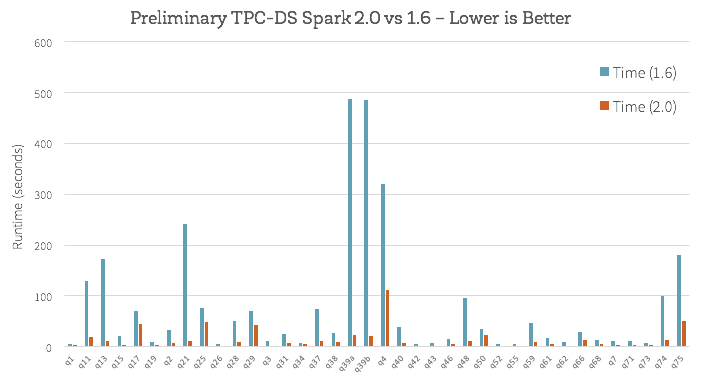 As a result, performance optimizations have always been a focus in our Spark development. Before we started planning our contributions to Spark 2.0, we asked ourselves a question: Spark is already pretty fast, but can we push the boundary and make Spark 10X faster? Spark users initially came to Spark for its ease-of-use and performance. Spark 2.0 doubles down on these while extending it to support an even wider range of workloads. We hope you will enjoy the preview, and look forward to your feedback. Of course, until the upstream Apache Spark 2.0 release is finalized, we do not recommend fully migrating any production workload onto this preview package. 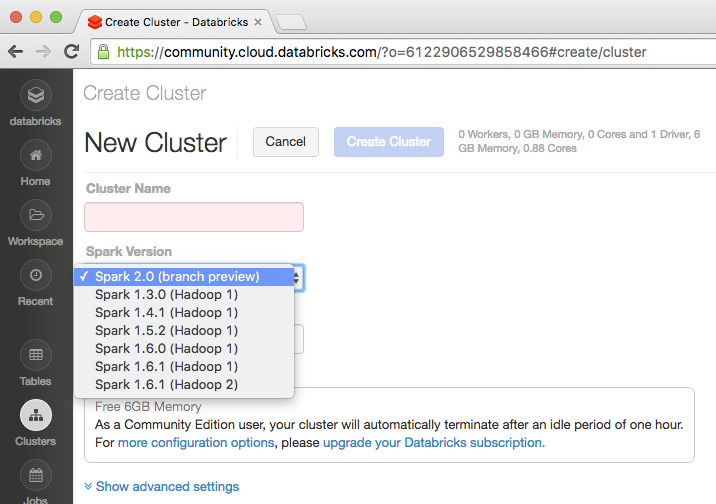 This technical preview version is now available on Databricks. 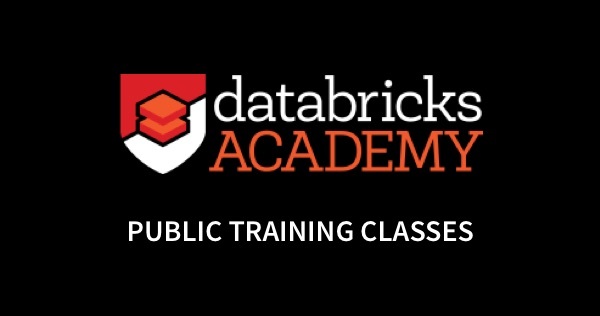 To get access to Databricks, sign up here. If you missed our webinar for Apache Spark 2.0: Easier, Faster, and Smarter, you can download slides and attached notebooks. You can also import the following notebooks and try on your Databricks Community Edition with Spark 2.0 Technical Preview.